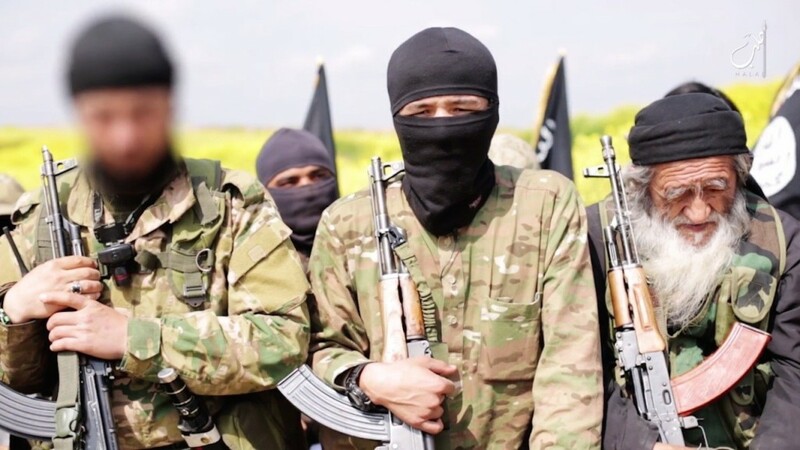 THE LEVANT NEWS — The masked militant in an Islamic State video showing the killing of five men accused by the group of being Western spies is believed to be a Londoner known as Sid who once sold inflatable bouncers. Siddhartha Dhar, who left Britain for Syria while on police bail after his arrest on suspicion of belonging to a banned group and encouraging terrorism, has been identified by media as the spokesman in the militant organization’s latest film. The video also features a young boy wearing a black bandanna around his head and army-style camouflage clothing, threatening in English to “kill the kaffir (unbelievers) over there”. Sunday Dare, a Londoner of Nigerian origin, identified the child as his four-year-old grandson Isa. Dare told British media his daughter, who grew up a devout Christian named Grace before converting to Islam and changing her name to Khadijah, had taken London-born Isa to Syria with her to join Islamic State. The video revived memories of “Jihadi John”, another British IS member who appeared in several videos in which hostages were murdered before he himself was believed to have been killed in an air strike late last year. Dhar, who is also known as Abu Rumaysah, is one of Britain’s most high-profile Islamists and an associate of Anjem Choudary, Britain’s best-known Islamist preacher who is due to go on trial next week accused of terrorism offences. A convert from Hinduism who lived in east London, Dhar regularly attended protests staged by the now banned organization al-Muhajiroun and had often spoken to the media in support of radical Islamic causes. Since leaving Britain he gained further attention through online videos in which he exhorted life under Islamic State. Khadijah Dare is also a keen propagandist for the group who has posted images of herself and her toddler son pointing rifles on social media. Reported to have been radicalized online, Dare left London for Syria in 2012 with Isa, then a baby. Having made her way to territory controlled by Islamic State, she married a jihadi of Swedish origin known as Abu Bakr, now thought to be dead. The couple appeared together in footage filmed in Syria in 2013, joking about which of them had the best AK47. A trail of videos also offers some insight into Dhar’s world view. His sister Konika told British media the man in the video sounded just like her brother, echoing the views of others who knew him well. However, neither she nor security experts said they could be certain it was him. British intelligence officials are analyzing the film and a security source said they had not yet reached a conclusion as to the man’s identity. British officials say up to 800 Britons have traveled to Iraq and Syria, some to join Islamic State, and around half had returned home. About 70 were believed to have been killed. In the 10-minute video released on Sunday, the masked man speaking with a clear British accent threatens British Prime Minister David Cameron before shooting one of the alleged spies in the head. 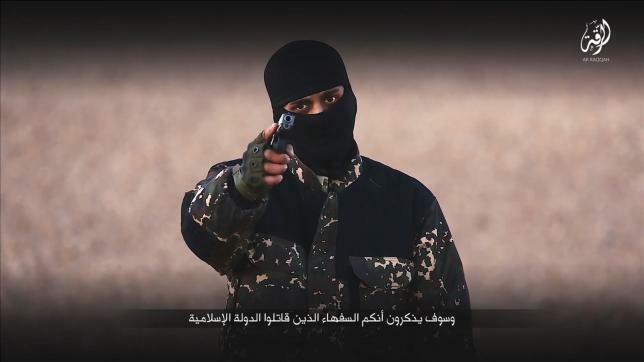 The footage was reminiscent of the gruesome beheadings shown in videos featuring Londoner Mohammed Emwazi, who gained worldwide notoriety as “Jihadi John”. Robb Leech, who got to know Dhar while making a documentary about his own stepbrother who was jailed for terrorism offences in 2013, said the militant in the video looked and sounded like Dhar. He said Dhar had never struck him as violent, and had always been friendly. British newspapers said he used to sell children’s inflatable bouncers, known as bouncy castles in Britain, and was a fan of Arsenal soccer club and the rock group Nirvana. “The last time I saw him it was about two months before he left and joined so-called Islamic State and we were laughing. It was very good natured,” Leech told BBC radio. “To remember him like that and then see him supposedly in this video, I don’t understand that,” he said, adding that Dhar must have had some very significant experiences in Syria with Islamic State to make him capable of doing what he did. In one video on his YouTube site, Dhar distances himself to some extent from the killing of U.S. and British citizens who were apparently beheaded by Jihadi John. “I don’t want to see another James Foley or Steven Sotloff or David Haines but unfortunately the way the West and the Europeans are going about things in terms of their policies with air strikes and intervening in the caliphate, sadly I can’t see an end to this,” Dhar said.